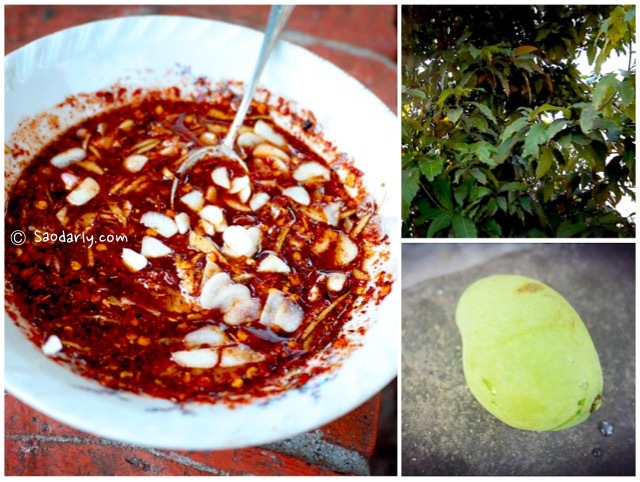 Young Green Mango (ໝາກມ່ວງ) and Chili and Fermented Fish Dipping Sauce (Jeow Padaek Wan; ແຈ່ວປາແດກຫວານ) for an afternoon snack in Luang Prabang, Laos. 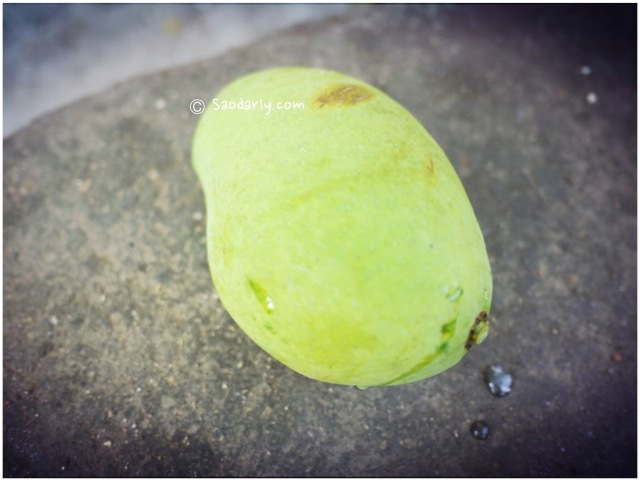 It’s always fun to pick your own young green mango right of a tree during the mango season months. 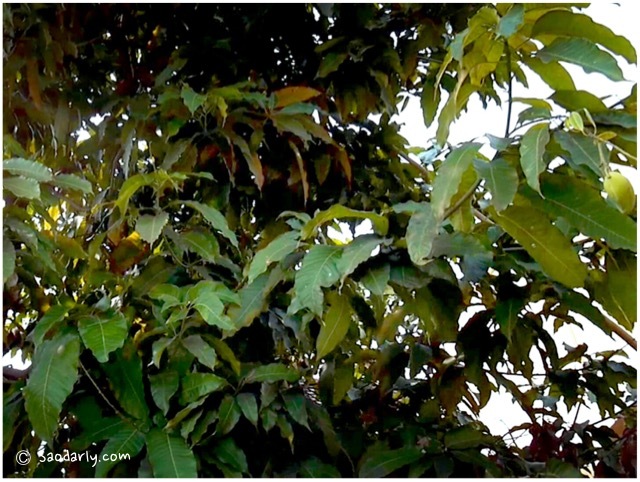 Many of my relatives would have a few mango trees on their land and other edible fruit trees. The dipping sauce above is quite spicy. 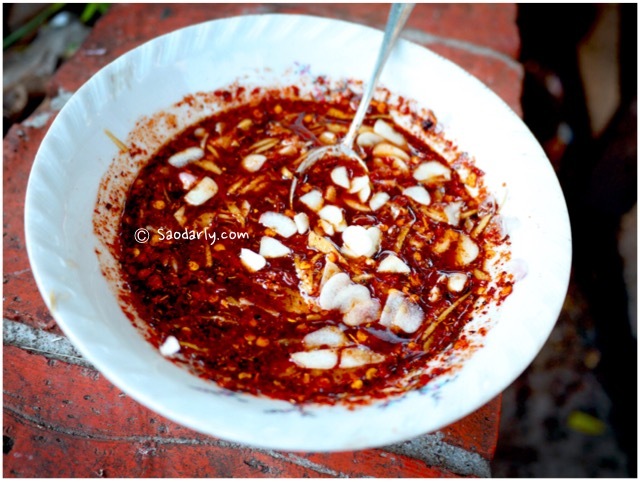 I can’t take that much chili peppers but some people do like it hot!